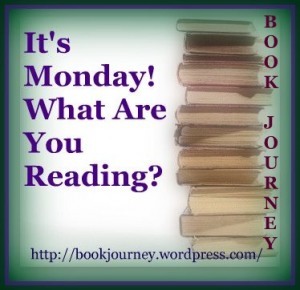 First time I am doing the "Its a Monday!What are you reading" post on this blog. This is hosted by Sheila from Book Journey. So what am I reading this week?.I have three books panned out- already started Harry Potter Part III ( Prisoner of Azkaban). 80 Pages into the book, I am not enjoying it as much as the first or the second book. In fact, I loved Chamber of secrets to bits!. Maybe,this book is going to take longer to warm up. I am so sore that I didn't start reading HP earlier :-(. Next in line is either Haruki Murakami's Kafka on the shore and Half of a yellow Sun by Chimamanda Adichie.I am leaning towards the latter. 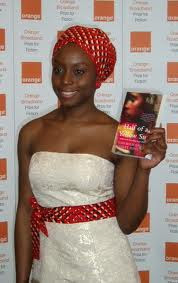 I haven't read Adichie before, but have been itching to reading Purple Hibiscus and Half of a yellow Sun for ages. Nigeria is a country I know nothing about ,apart from the fact that it has one of the highest crime rates. One of my ex-bosses lived briefly in Nigeria and regaled me with horror stories of crimes that happen there. am super excited to be digging into that book as well. Called "the 21st-century daughter of Chinua Achebe" by The Washington Post, Chimamanda Ngozi Adichie certainly lives up to the hype in her second novel, Half a Yellow Sun. She wowed us with this transcendent tale about war, loyalty, brutality, and love in modern Africa. While painting a searing portrait of the tragedy that took place in Biafra during the 1960s, her story finds its true heart in the intimacy of three ordinary lives buffeted by the winds of fate. Her tale is hauntingly evocative and impossible to forget. 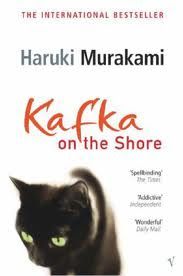 I have loved all the Murakami books I've read till now and picking this one up was a no brainer. After reading Blind Willow ,Sleeping woman I am not sure if he can surpass the brilliance of that book,I am hoping I'll be pleasantly surprised. Looks like its an exciting week of book reading for me.. What are you reading? I think I bought Half of a Yellow Sun in 2008, but never read it! I wanted to buy if a few times.. finally decided to borrow it! My new job has me traveling once or twice a month. Came here looking for some good reads. I think I will pick Blind Willow or Sleeping woman. Geeta .. Good luck ! Might be a tad too serious for traveling ..